Yes! 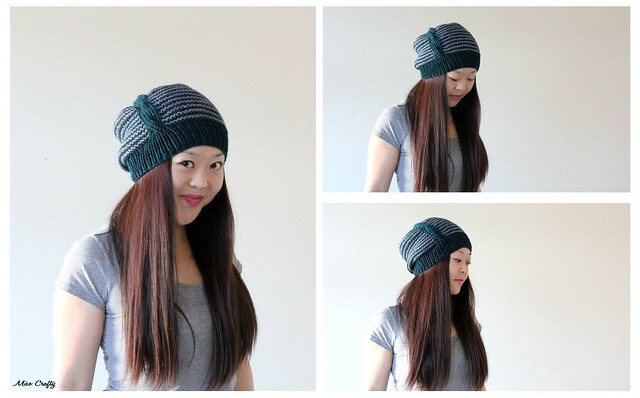 The first FO for 2012! I'm sure you were expecting Brett's cardigan to be the first but I really needed a break from that thing. Maybe it's the time of year, y'know new beginnings, fresh starts, and all that jazz, but I couldn't even wait a full day into the new year without itching to cast on a brand spanking new project. So what does a knitter do when that feeling arises? Wind up some yarn of course! I knew that I wanted a quickie project that could be whipped up within a day (or two) just to get that Starteritis edge off my back and so that I could continue on with the regularly scheduled program once done. I already knew what pattern I wanted to make, as it was one that has been on my mind ever since I saw it. A hint that I knew I was going to eventually knit up the pattern: I already had the yarn picked out in my head and was mentally winding it into a yummy yarn cake while I was still sitting at the computer desk staring at the pattern. When I first laid eyes on Veera Välimäki's newest collection, Follow The Lines, I just knew that I would most likely be knitting that entire collection. So I'll forewarn you now that this will be the first of the four from this collection! Veera Välimäki is one of my favourite knitwear designers, and I know that along with Jane Richmond's, I can pretty much guarantee that I will like whatever they design. They both have clean and simple aesthetics that I love, and when paired with the right yarn, whatever pattern you knit of theirs will become an instant classic in your wardrobe. I love their no-fuss pattern directions too and most importantly, their consistency in everything. Anyhoo, back to the hat. So this here is the Here and There Hat. I used SweetGeorgia Yarns Superwash Worsted in the Riptide colourway and leftover Tough Love Sock (held double) in Slate that I had used for my Northwind Hat. 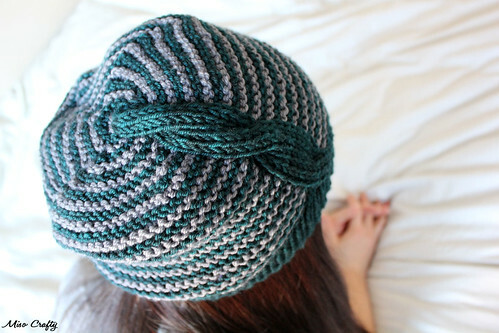 I was actually saving the Superwash Worsted to knit another Northwind Hat, but after seeing the Here and There Hat, I knew it had to be that instead. I absolutely LOVE Riptide in the most unholiest of ways. So much so that I just have to have it in every SweetGeorgia base. Remember how I mentioned in my Stashdown 2012 post that yarn can make you go crazy? How you can see an absolutely gorgeous yarn that you just had to make it yours, just to go home and find out that you already had three skeins of that yarn in your stash? Yeah well, Riptide is one of them. The sad part of it? I didn't return those extra skeins. The yarn hoarder in me kept them. I'm not proud. I've never knit with SGY Superwash Worsted before and I'll say it now, for the record, this will definitely not be the last time. I love the squishy-ness of it and how it gives such great stitch definition. It makes me super happy to know that I have more in the stash, I'm so tempted to cast on another project using this yarn! Is it wrong that I want more Riptide? This project was completed last week and I've only gotten around to taking photos of it now. I couldn't pin down Brett long enough to get his help, and when I did we had our...ahem, artistic differences. So I've resorted to jimmy-rigging the camera for some self-portraits (note to self: find out where Brett hides the tripod). I give much kudos to people that can do self-portraits and can do it well. I felt like some weird internet hoochie trying to hock my wears while kneeling on the bed, trying to get my camera remote to work. Half of my photos came out with me looking extremely uneasy with the whole process! 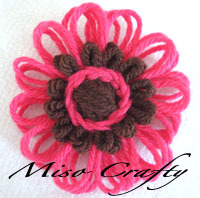 This pattern is super quick and easy...that is, if you pay attention to the directions. I was a bad knitter and didn't swatch. I'm so glad that the hat ended up fitting me! Although I did get gauge, I could have gone down a needle size, especially on the brim. I like the brims of my hats to be a little on the snug side cause hats tend to slide off my weirdly shaped head, and I know that over time the hat can stretch a little. Having the brim slightly tighter than normal usually helps out in that department for me. Speaking of weird heads, I always thought I had a ginormous head (not freakishly big like Brett's, just bigger than average) so I thought knitting a extra inch in the length would help. Um...no. 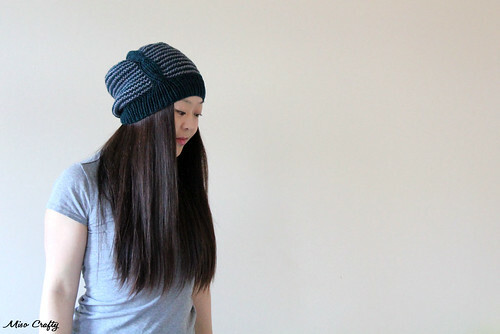 I had knit the hat, bound off, and tried it on. The hat was freakin' huge. And not in a good way. 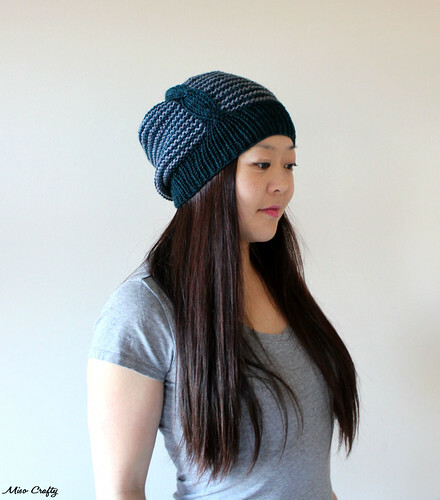 I have a feeling that I mis-read how long to knit the hat to and had knit way past the 8.25" mark. I measured and re-measured and had to rip back so that the length from the CO edge was 6.25" before re-knitting the decreases. 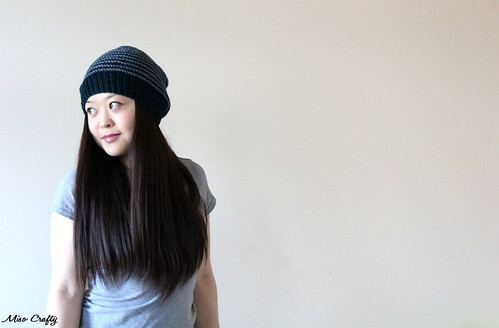 I've been wearing this hat non-stop ever since it came off the needles. I didn't even care that when I went to knit night last week that my entire outfit didn't make any sense. Yes, I did wear stripes and houndstooth at the same time. I'd like to say that I was trying to be fashionably avant garde but really, I was just being lazy. This hat couldn't have come at a more perfect time too. It's time to wash my Northwind hat and the drying process will most likely take a few days. This hat guarantees that my head will still stay warm during that process. 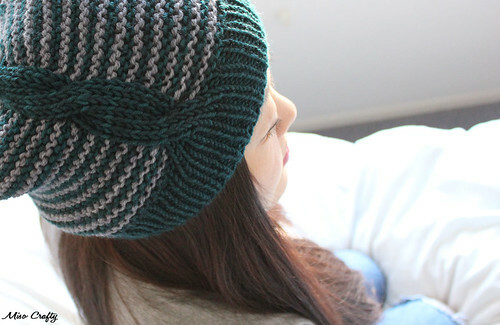 Gorgeous hat but I must say I was distracted by your amazing hair. I wish my hair looked that great! My hair is long but it is thin so it looks a bit flat. Ohhhhh, love it! Looks gorgeous! I need to get this hat made this year! So lovely!